The association of Indian economy with Information technology (IT) is very well aware of all the changes upcoming along with the GST and has also issued a warning that serves not to take the information technology in an easy way as it contributes to the economy in a very heavy proportion. While the National Association of Software and Services Companies (Nasscom) president R. Chandrashekhar mentioned that upcoming GST regime can create a difficult scenario for the industry as with GST, there are lot many complex invoicing and billing coming ahead which can further strangle the taxation of IT industry making a tough growth. As per the reports, Most of the items used in the IT industry like printers, photocopier and fax machines has attracted highest tax rate of 28 percent. As the head mentioned that there will be a great number of taxation points counting up to 111 which must be accessed while in the process of filing as the reason being of multiple registrations ranging from 37 jurisdictions—29 states, seven union territories, and the Centre. In the words of Chandrashekhar, it said that Under the GST regime there are three tax points: central GST, inter-state GST, and state GST. Multiplying three GSTs with 37 jurisdictions take the total number of points of taxation to 111. It makes the IT companies register and file compliance reports at a staggering 111 points to clear all the way through filing the GST. 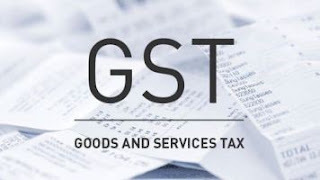 Nasscom comes up with a statement that says that the ‘place of supply’ provision of GST might need various billing and invoice in the case of single contract services but the delivery is happening from multiple offices of the same activity. In the process, goods and services tax has brought some clarification over the taxation on electronic downloads also including various taxes and duties, the actual value of service provision may spark misunderstanding and disputes over this issue.